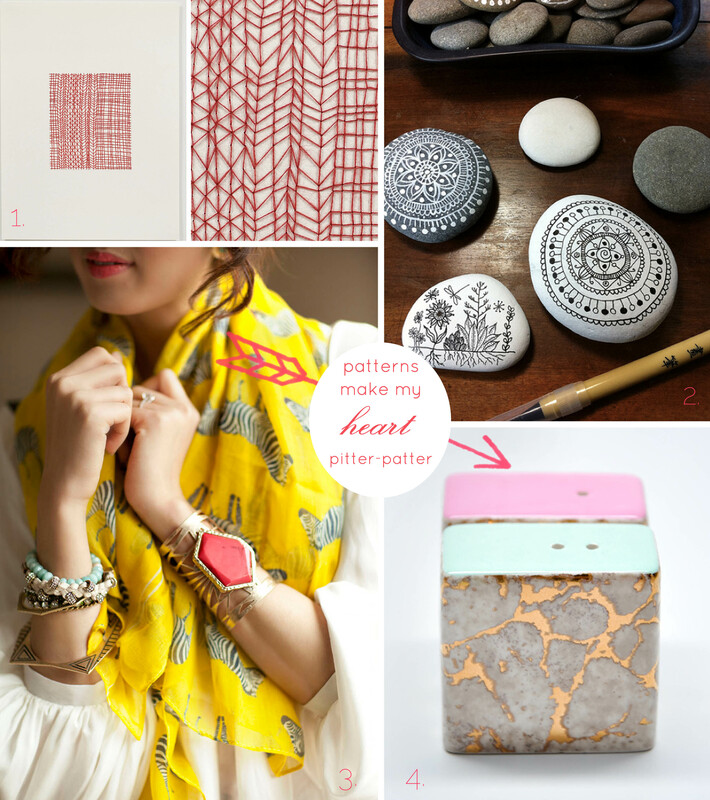 Today is a happy, pattern sort of day, doncha think? I love Mondays with all of my heart, but I know I’m weird… so if you’re having a gloomy day ( mean we did just have Friday the 13th AND April 15th!) this should cheer you right up! I love the creamy, dreamy colors, and intricate details that make each of these pieces stunning and beautiful. I’m such a sucker for pretty things! Today is a bit like my Saturday, actually, I’m going downtown to do a bit of shopping and photography with my little girls and my “little” brother who stopped by on his way back from training with his Marine unit in the swampy SC wilderness. blah. So, of course, we’ll be hitting the beach and eating some good food as well… he deserves it! Check out my fb page and twitter for photos and tid-bits! …and now, the link love…. See, you day is already so much brighter, no? Yes, making Monday the lovely fresh start to the week is a great idea! I agree!! Hope you had a lovely day! Oh goodness….. I agree with all of my heart. Plus, my two year old daughter is obsessed with elephants. So it would be a win win at our house!